100 YEARS! 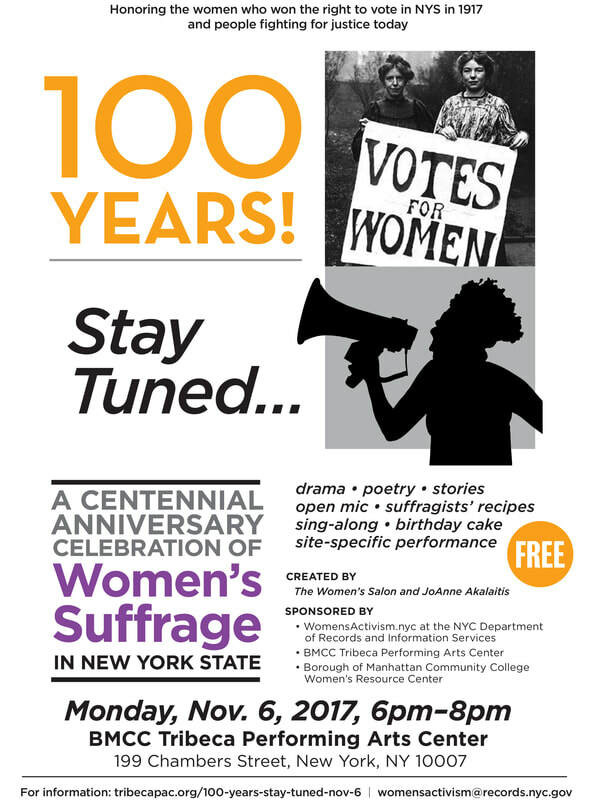 Stay Tuned... is an interactive theater celebration of speeches, poetry, dramatic writings, stories, and suffragist's recipes celebrating the 100th Anniversary of Women receiving the Vote in NY State. Featuring a multi-generational cast of 30 women and girls, the event incorporates multi-media sound and video installations, a live site-specific performance, an open mic, a suffrage sing-along and birthday cake. The evening features. Audience participation is encouraged.